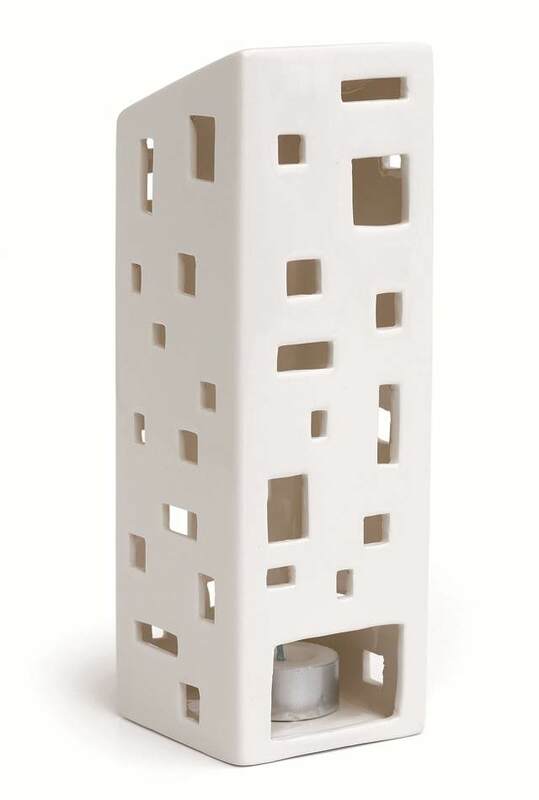 The four Urbania ceramic tea-light houses designed by Copenhagen based design team R7B are inspired by traditional Christmas decorations and their beautiful design with simple lines make them fit perfectly in the modern home. 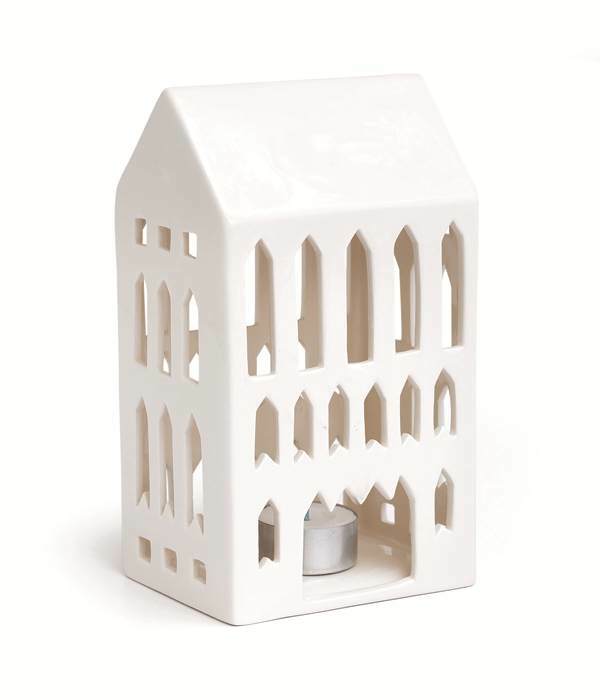 With lit candles inside they have a calming effect, sending out a warm, cozy light. 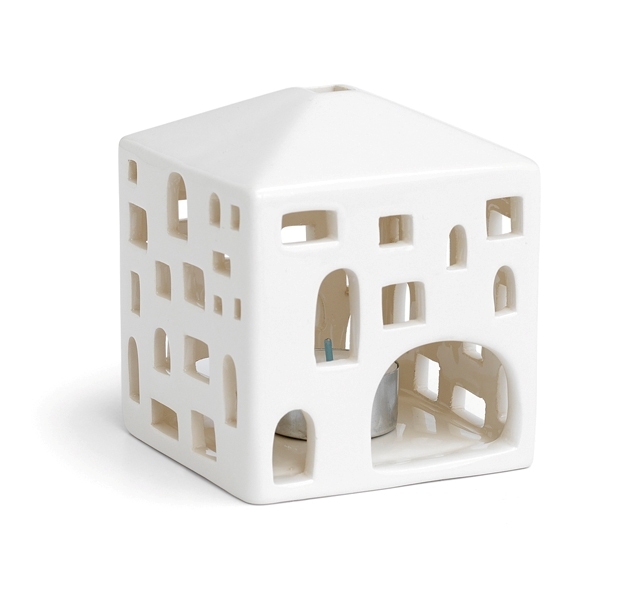 The tea light houses are delicate, stylized ceramic versions of contemporary buildings such as a tall block of flats, a traditional village church or a classic Danish town house. Available for selling at Kahler Design, with prices from $34.5 to $43 usd. Design duo R7B Copenhagen started in 1996 when Mette Bache and Barbara Bendix Becker both graduated from The Danish School of Design. Since then they have worked as textile designers and as consultants in identity, product selection and design strategy. 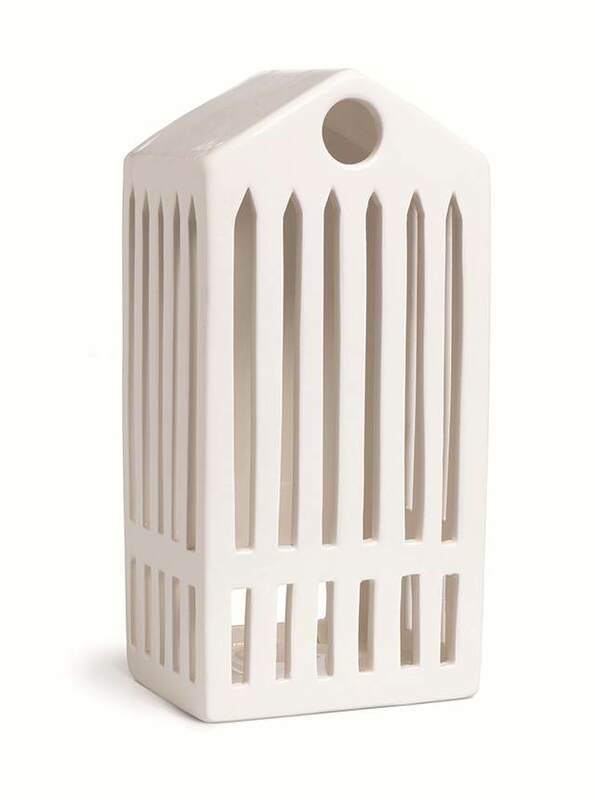 Recently they have chosen ceramic as a material of infinite creative possibilities to reinterpret old objects through new designs.